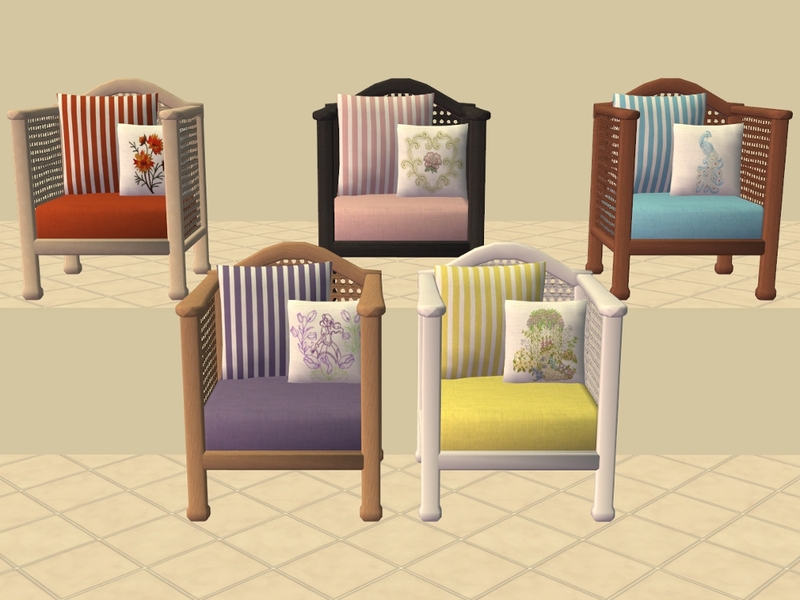 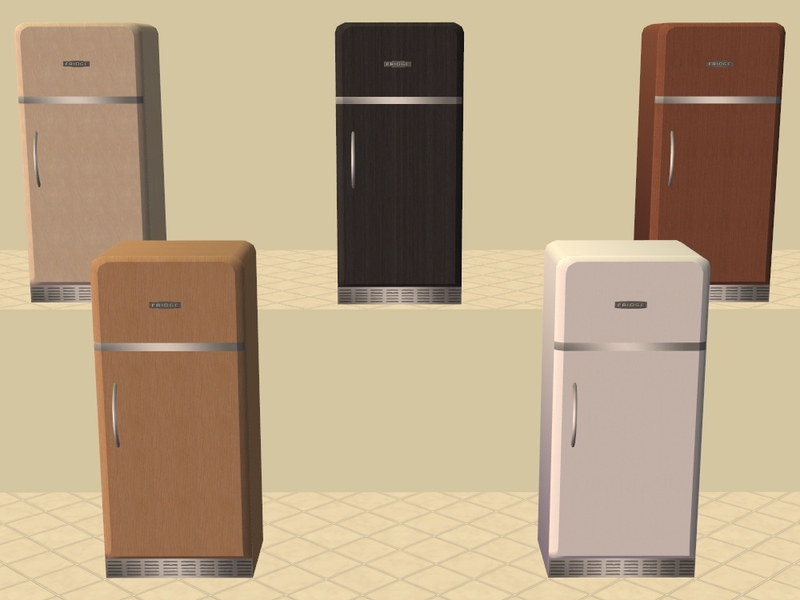 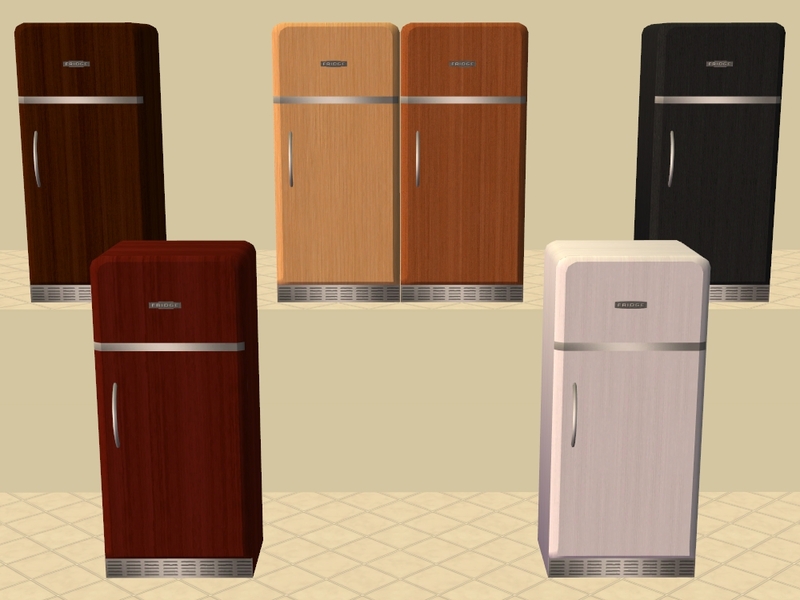 There's 56 furniture meshes in the BayonReduxLiving SuperSet, lucky for us moune is amazing and slaved the set to only 4 MASTER MESHES, which I have included in the zip files with my recolours. 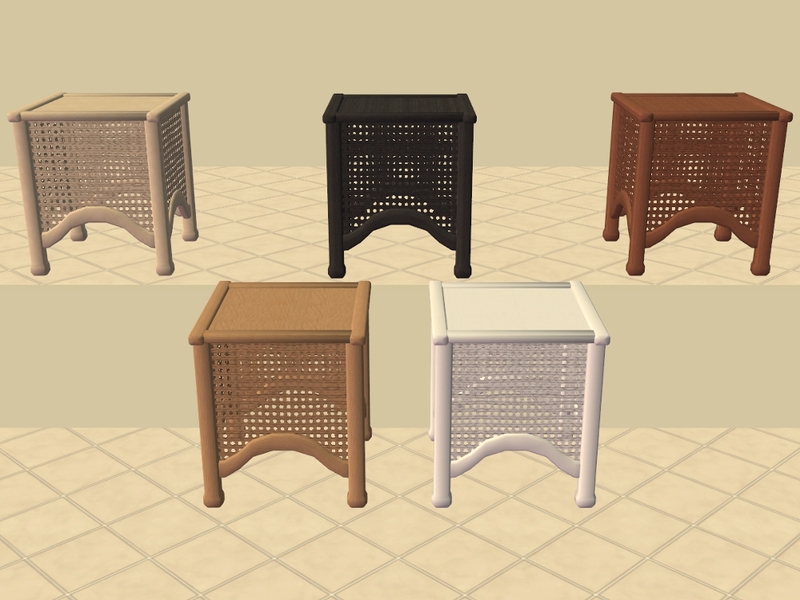 You can get the rest of the BayonReduxLiving SuperSet MESHES as well as some recolours by moune HERE. 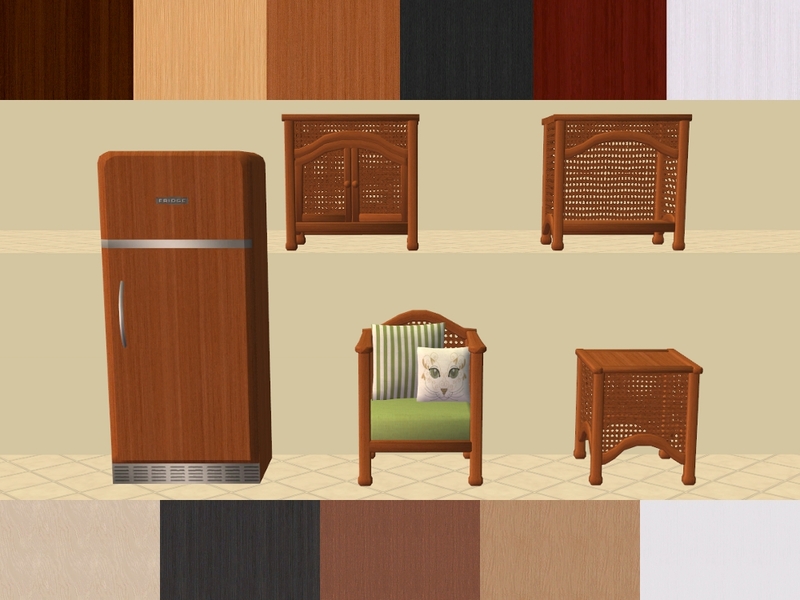 I have split them into 2 zip files: AL Wood colours and MALM colours. 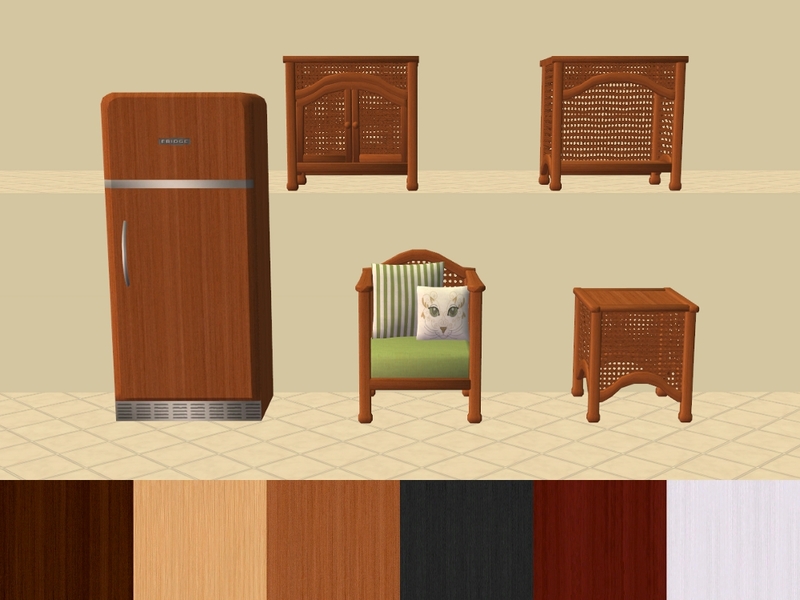 Files have been compressed and checked in game. 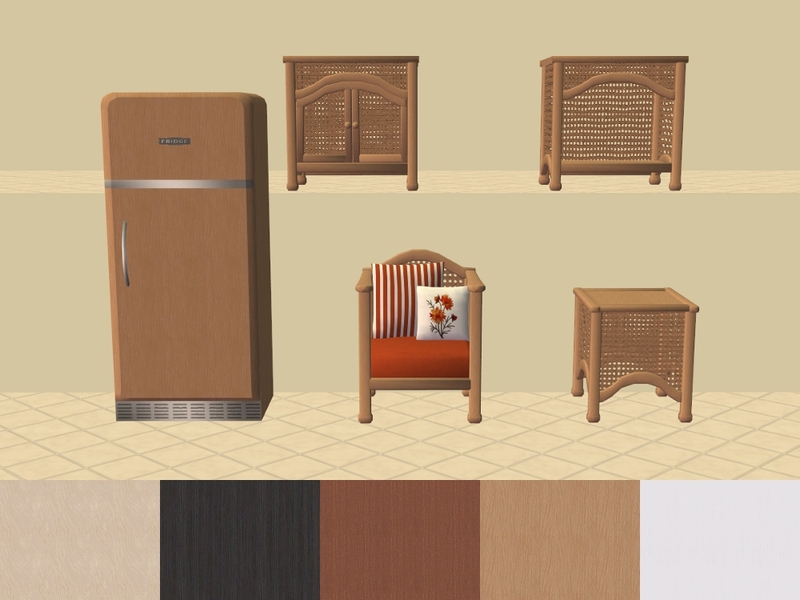 Colour charts and a link to the meshes are included in the zip files. 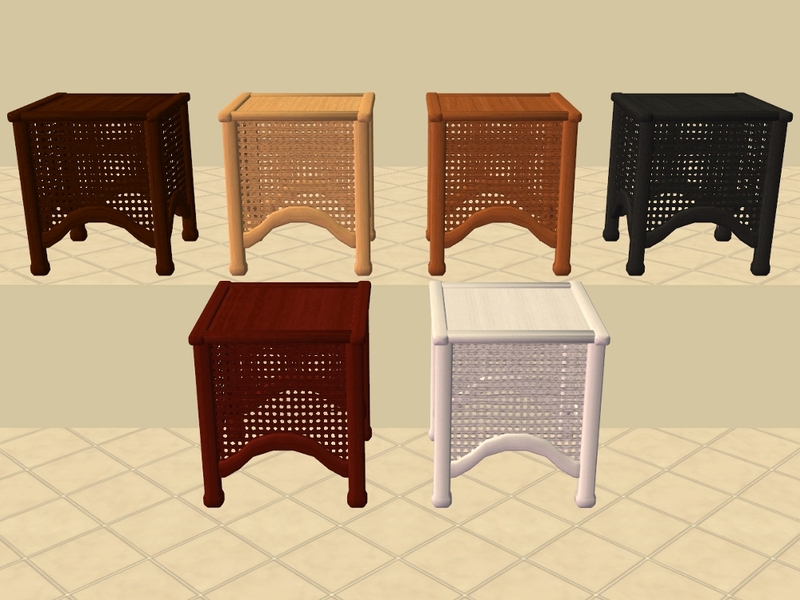 amythestfenix for the extra wood colours also for the fabric and allowing me to use them. 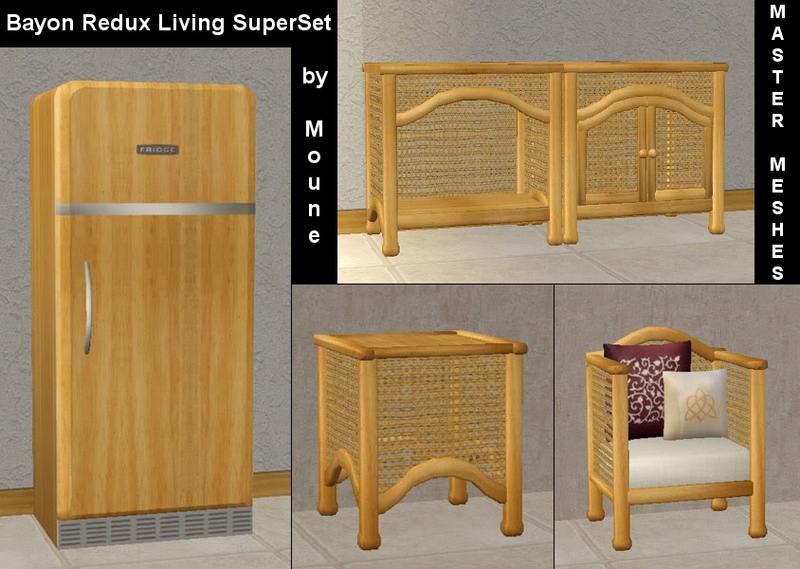 Moune for the BayonReduxLiving SuperSet. 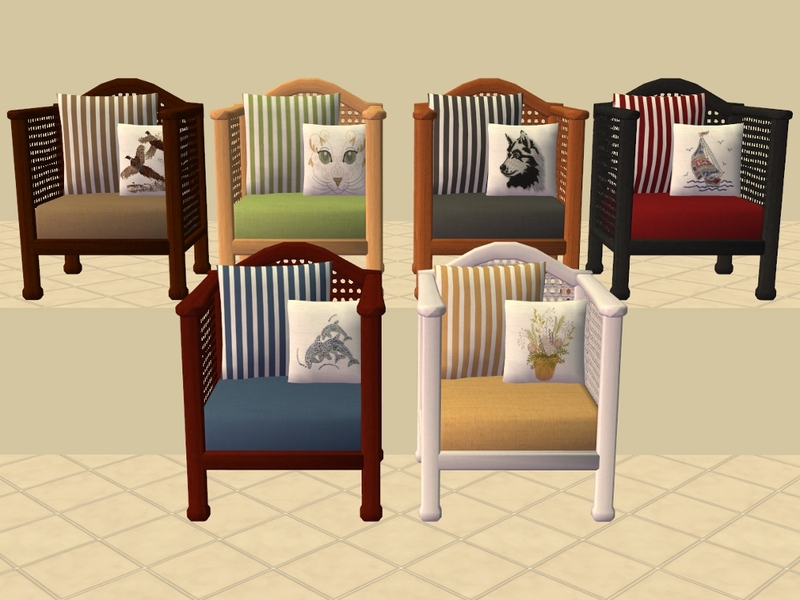 JSSAnDA for some of the appliques used on the cushions. 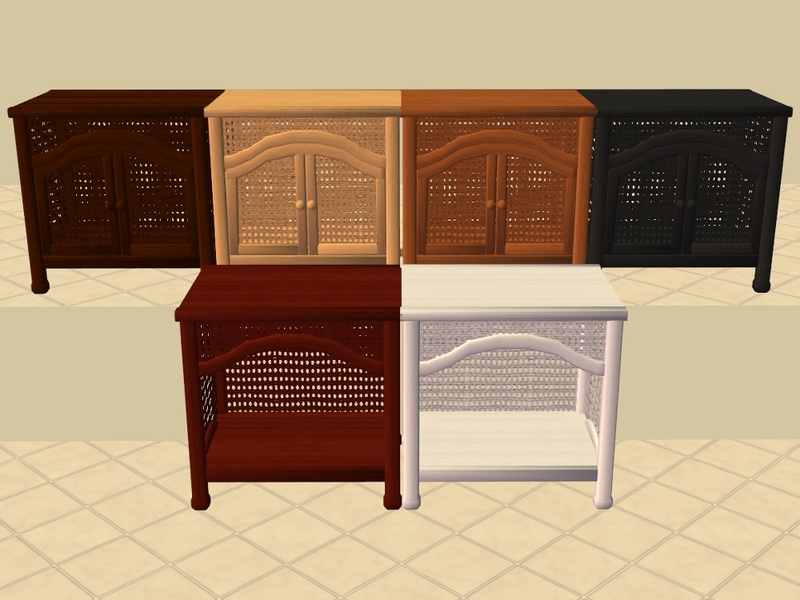 Pets Furniture Recolours - Part 1 - Kitchen. 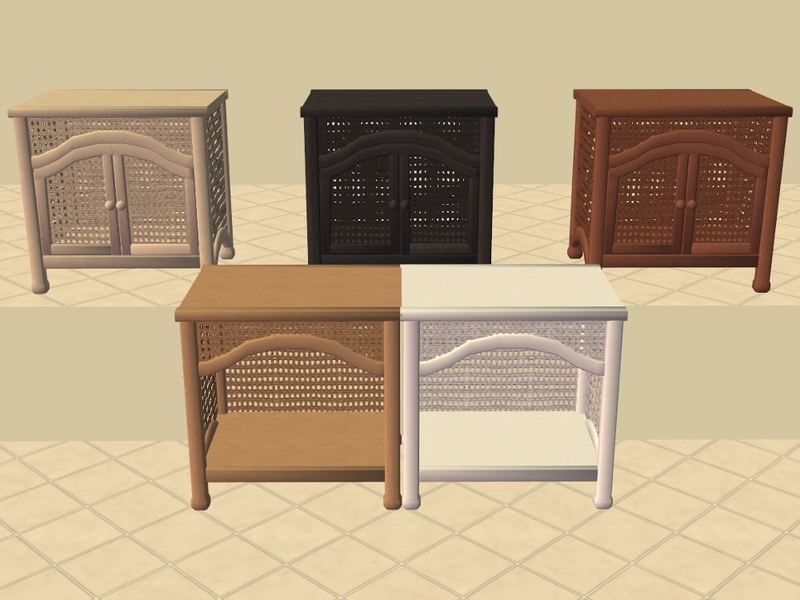 Tags: #AL Wood, #MALM, #moune, #moune999, #Bayon, #Kitchen, #Nursery, #Dining, #Bedroom, #Living, #Super Set.